Rheumatism can significantly diminish one’s quality of life. So why are researchers wary of committing to the idea that cannabis can help? 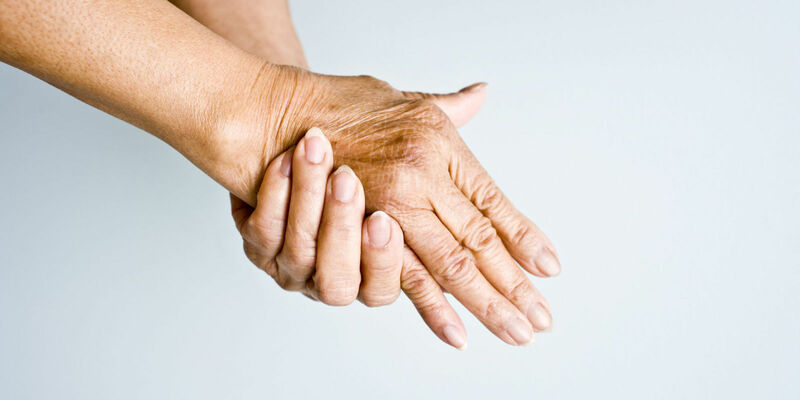 Rheumatic disease or rheumatism describes dozens of conditions that are characterized by chronic inflammation, pain, swelling and stiffness in joints, connective tissues and muscle fibers. There is no cure for rheumatism, and the causes can range from simple aging, to wear and tear (in the case of a professional athlete for example), or it can result from immune system deficiencies. Currently, more than 50 million adults suffer from some form of the condition in the form of arthritis, osteoarthritis, rheumatoid arthritis, and Lupus. Does cannabis work for rheumatism? Rheumatism can significantly diminish one’s quality of life since it can impact daily activities that non-sufferers take for granted. Simple tasks such as driving, preparing meals, and putting on clothes can be difficult for a person with the condition. Researchers are wary of committing to the idea that cannabis can help rheumatism. Cannabinoids have been useful in remedying symptoms of so many other conditions, yet studies on cannabis and rheumatism haven’t been as positive. Also adding that little scientific evidence exists showing that cannabis reduces pain in rheumatic individuals (which is common when scientist don’t conduct enough studies). Fitzcharles did acknowledge that cannabinoids are very useful in treating other chronic pain conditions, however; her findings show that other pain types have “a different underlying mechanism” that rheumatism. Yet, a study found in the Journal of Opioid Management conducted prior to Fitcharles’ study revealed that as of 2009, 80 percent of medical marijuana patients were using pot to treat myofascial pain. Myofascial pain is a chronic pain disorder that affects the muscles and joints. So, while rheumatologists have generally erred on the side of caution, rheumatic patients seem to have contradicting beliefs about the pain-reducing abilities of cannabis. OTC drugs, opioids and steroid injections are commonly used to treat the ongoing pain and stiffness associated with rheumatism. The chronic use of such medications and substances poses significant health risks up to and including addiction, overdosing, liver damage, kidney damage, stomach irritation, heart palpitations, bone damage, weight gain and other notable side effects. Furthermore, the body tends to form a dependency on these drugs, thus exacerbating these side effects as users require larger doses for effective pain relief. Jahan March, Ph.D., chief scientific officer for the Americans for Safe Access (to cannabis), sees evidence that medical marijuana is, in fact, effective in providing safe pain relief for rheumatic patients. Chronic pain is a symptom of rheumatoid arthritis, and when it comes to chronic pain, we have 9,000 patient yeas of data showing that THC effectively treats it. Cannabinoids stop the transmission of pain and decrease inflammation, and that’s very important for people with joint issues.